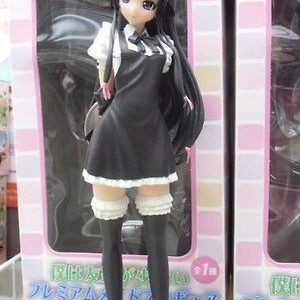 Earn 1990 points upon purchasing this product. 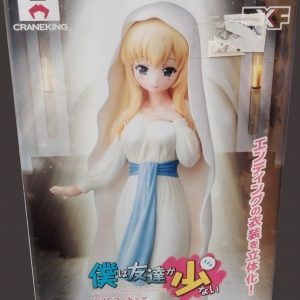 Use 19900 points to purchase this product! 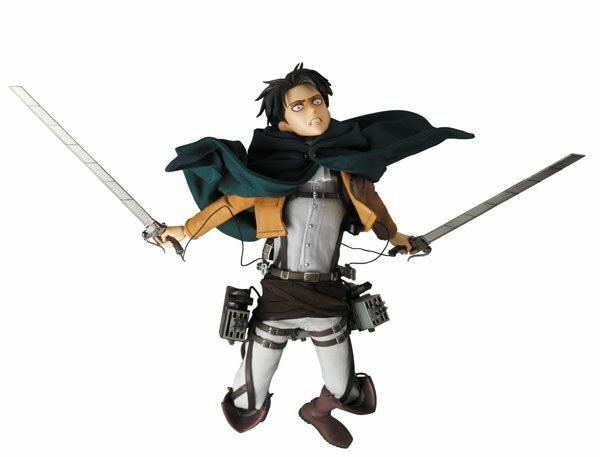 Fan-favorite Levi from “Attack on Titan” gets the Real Ation Heroes treatment from Medicom! 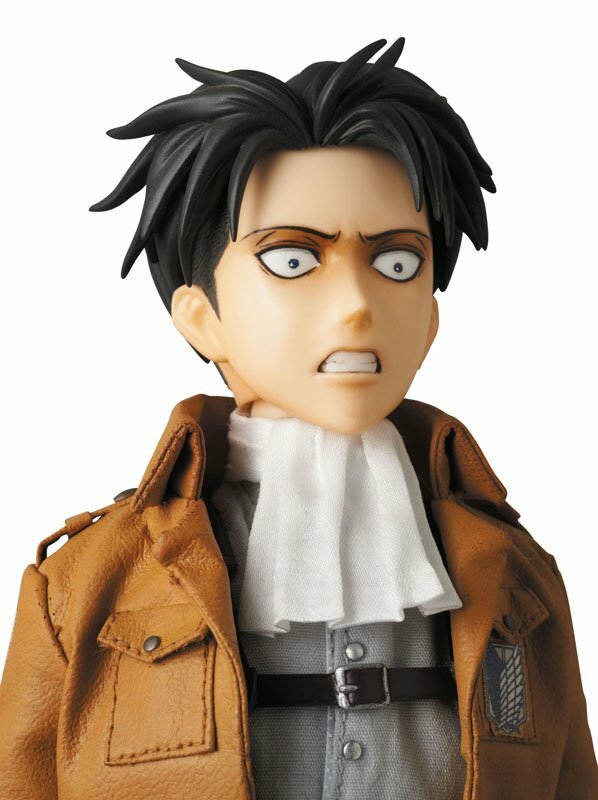 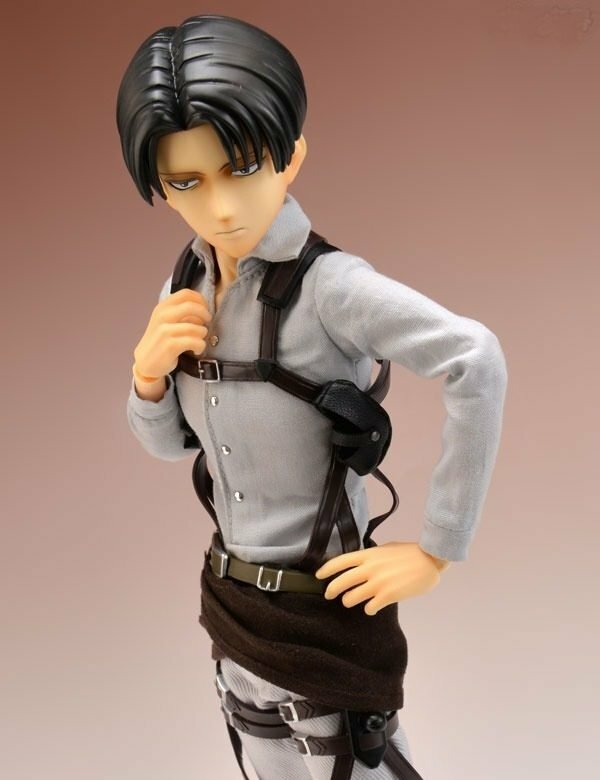 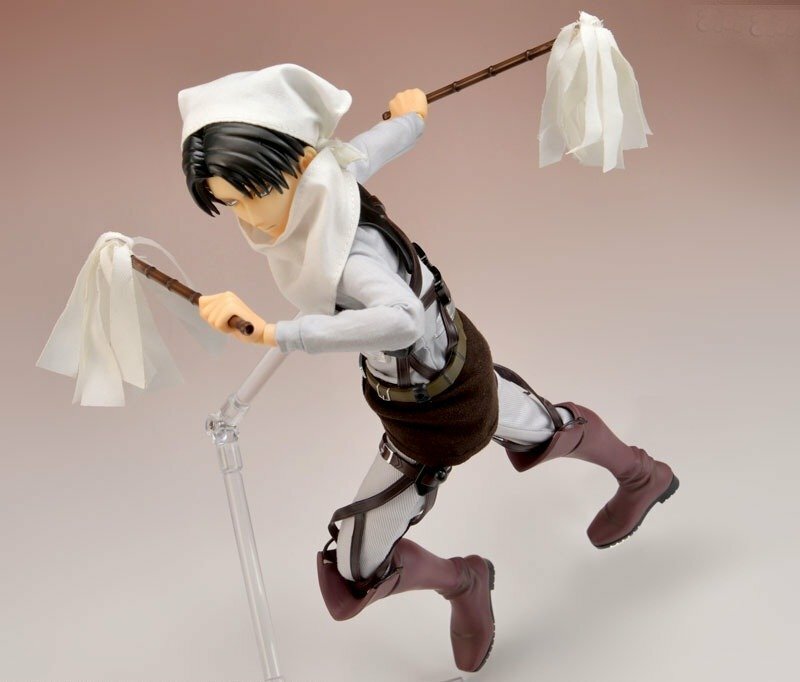 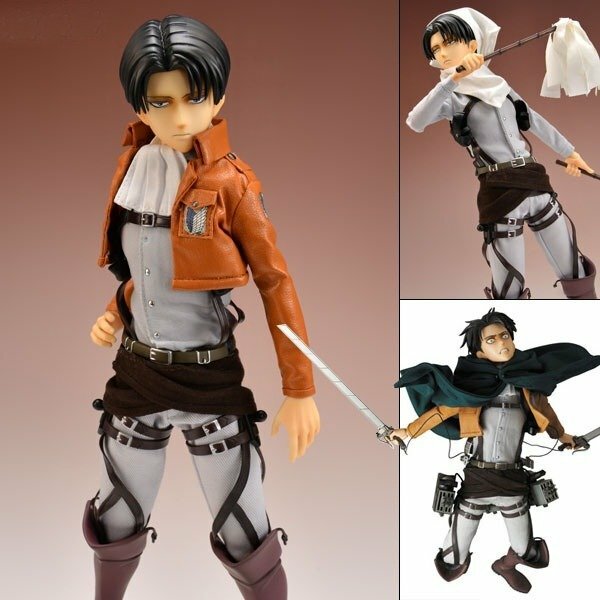 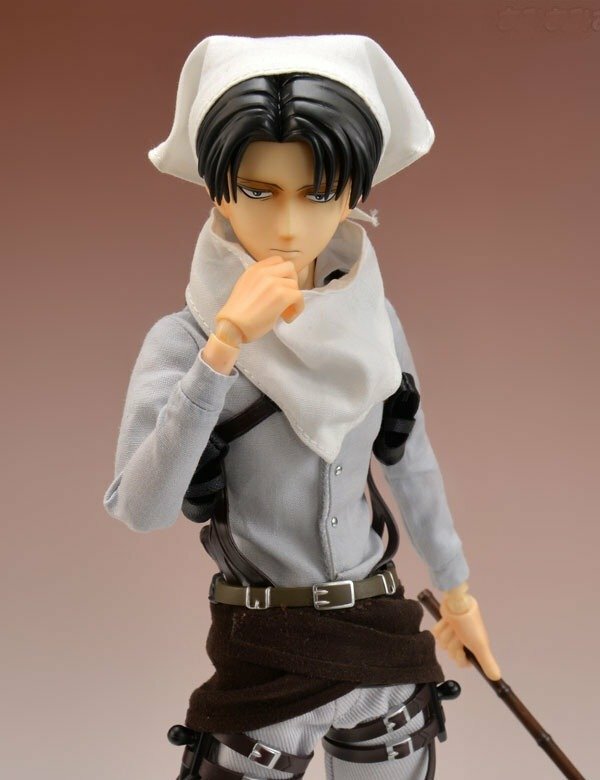 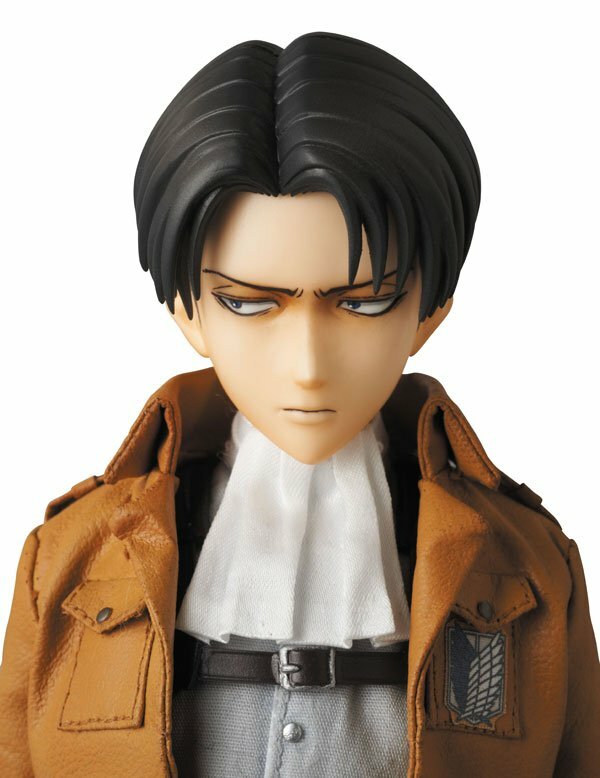 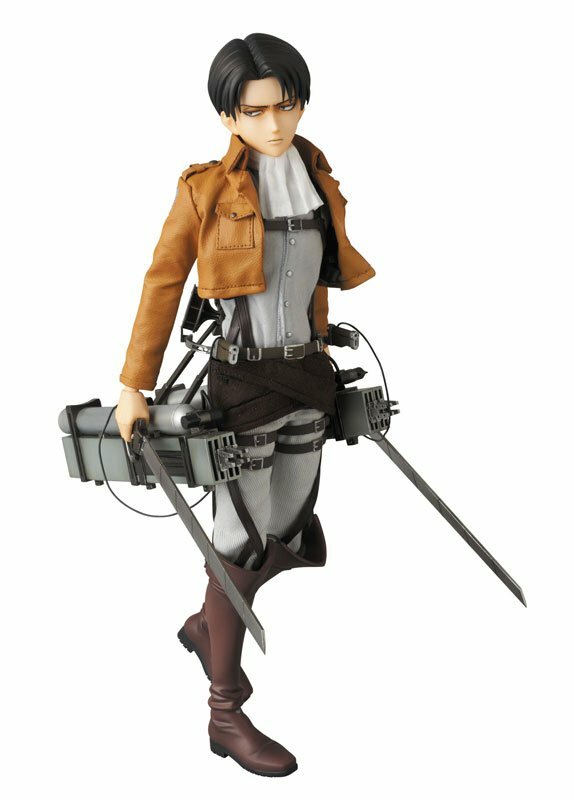 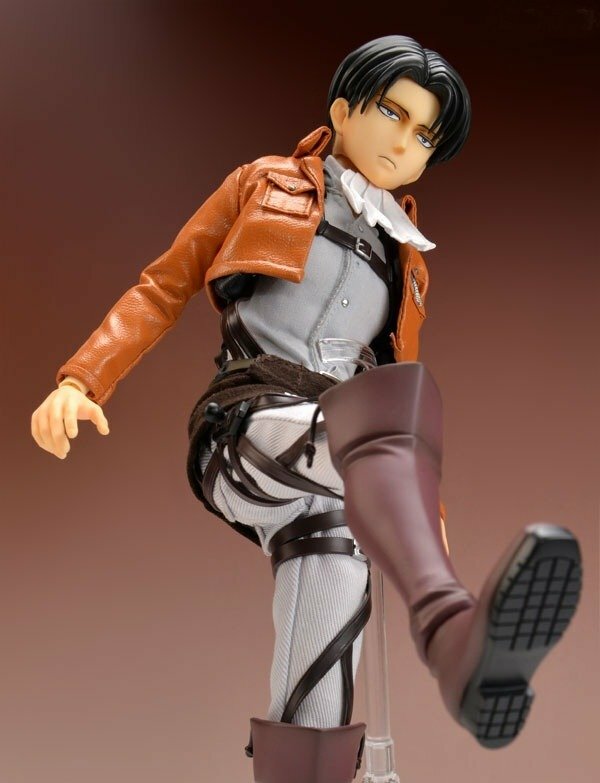 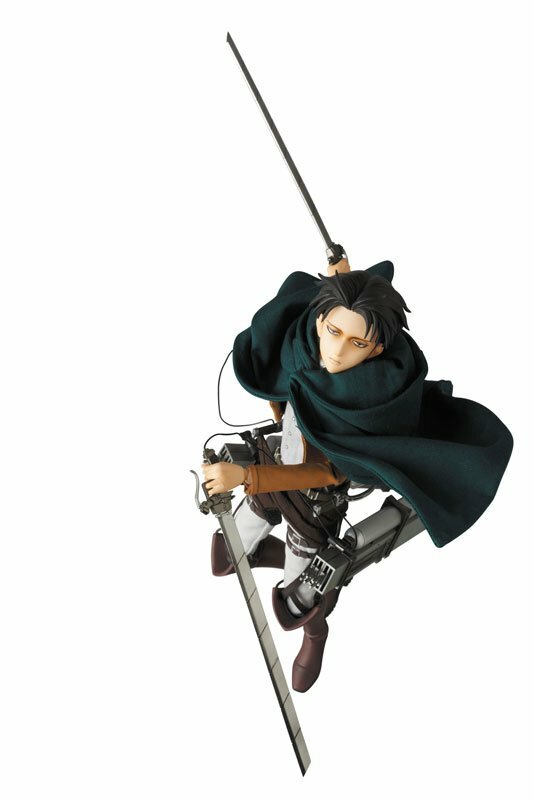 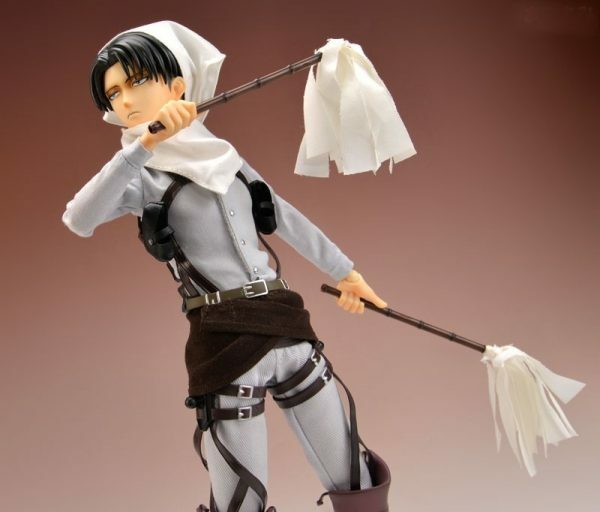 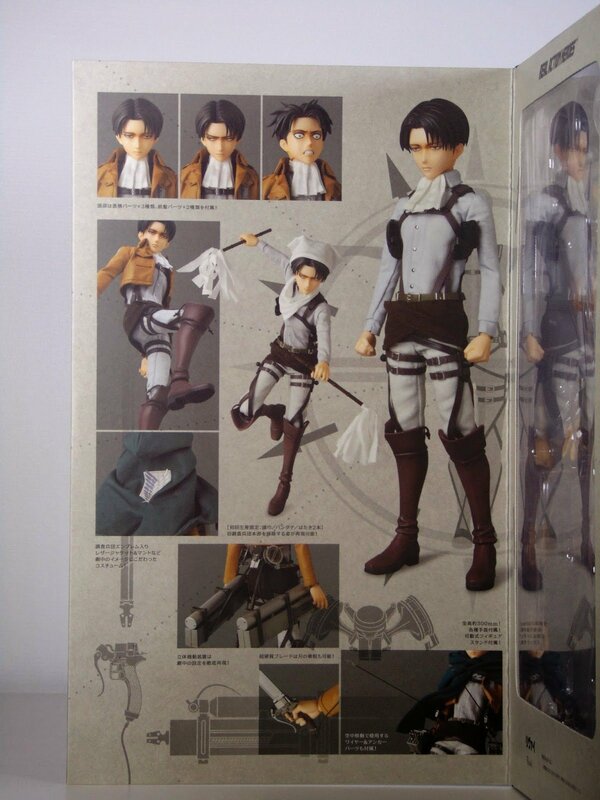 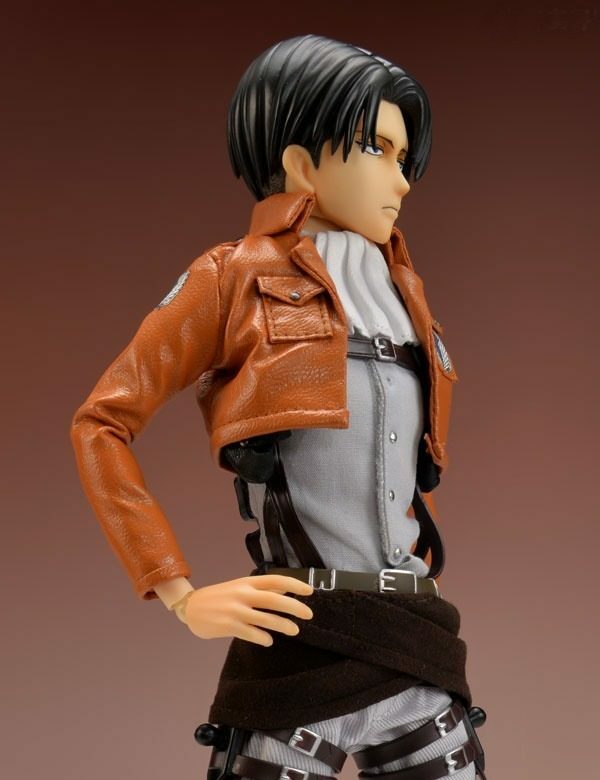 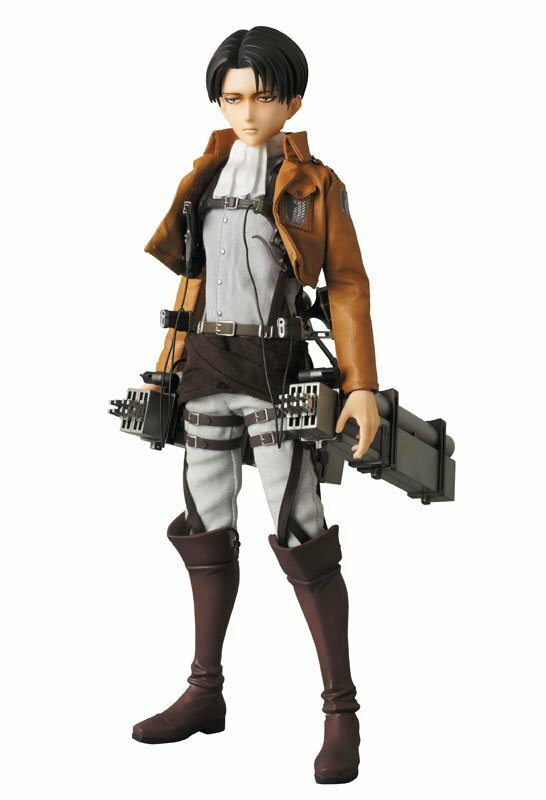 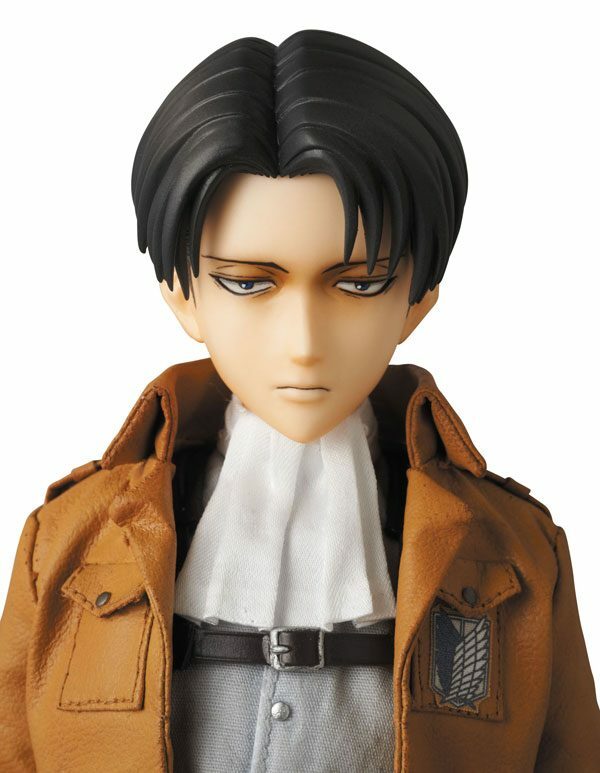 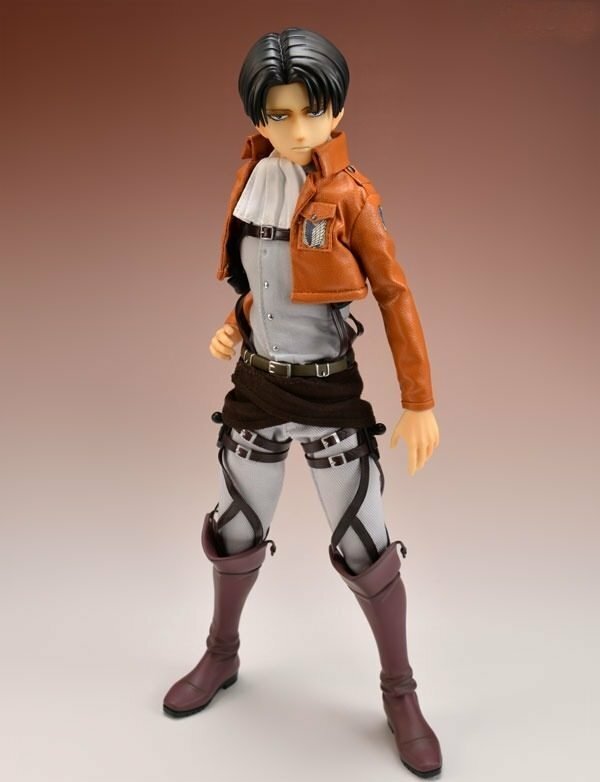 Levi comes with three interchangable facial expressions (including an awesome freaked-out expression), 2 front hair types, his complete impressive, real fabric and detailed outfit including the 3D Maneuver Gear, and a display stand. 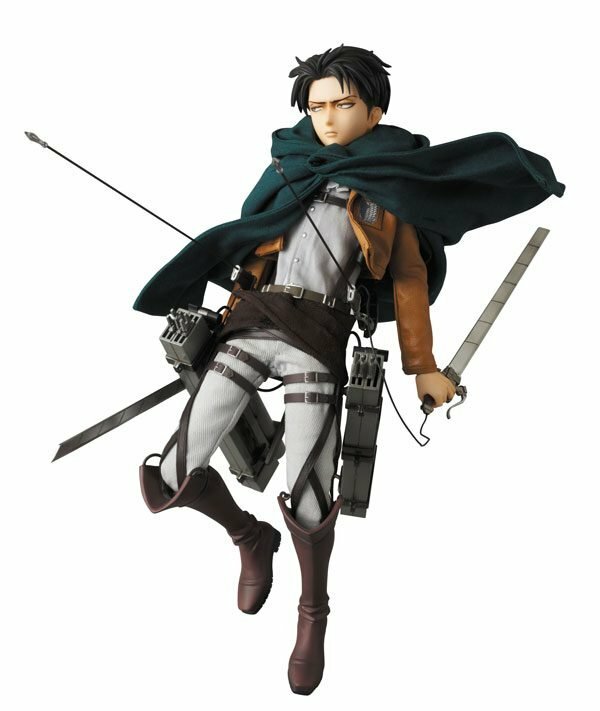 This outstanding 1:6 scale figure is of the highest quality and detail, ready to take life on your shelf in any dynamic pose that you desire. 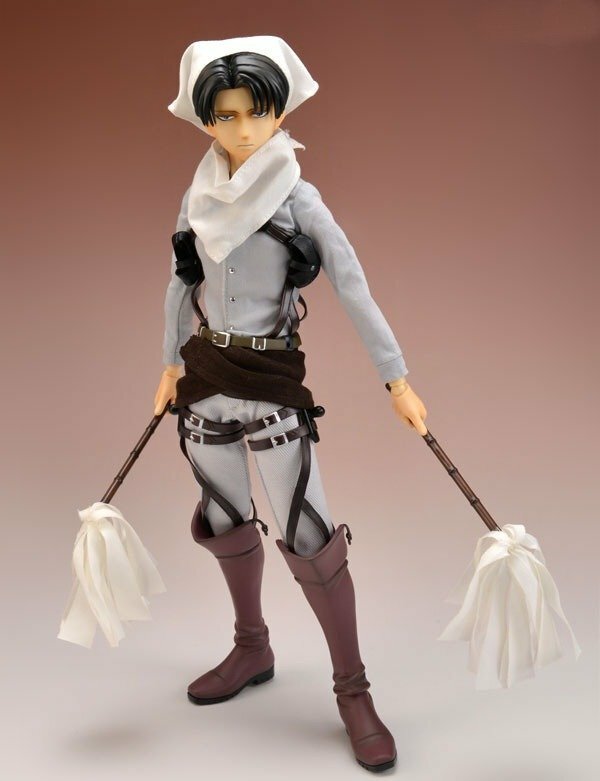 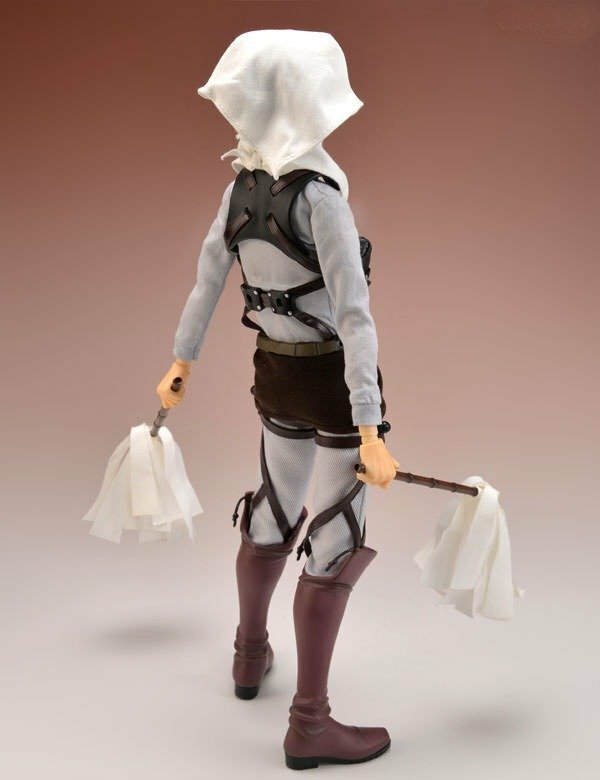 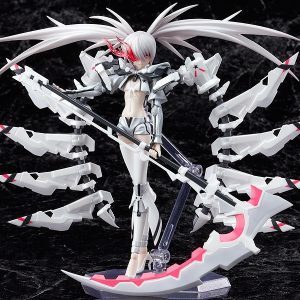 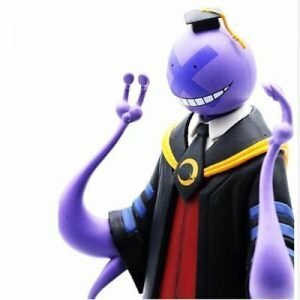 This figure is one of the most articulated 30cm figure bodies available, capable of nearly any pose that the human body can achieve.The initial release of this figure also includes his “cleaning gear” as shown – any later releases of the figure will not include these items; they’re only available with the first release. 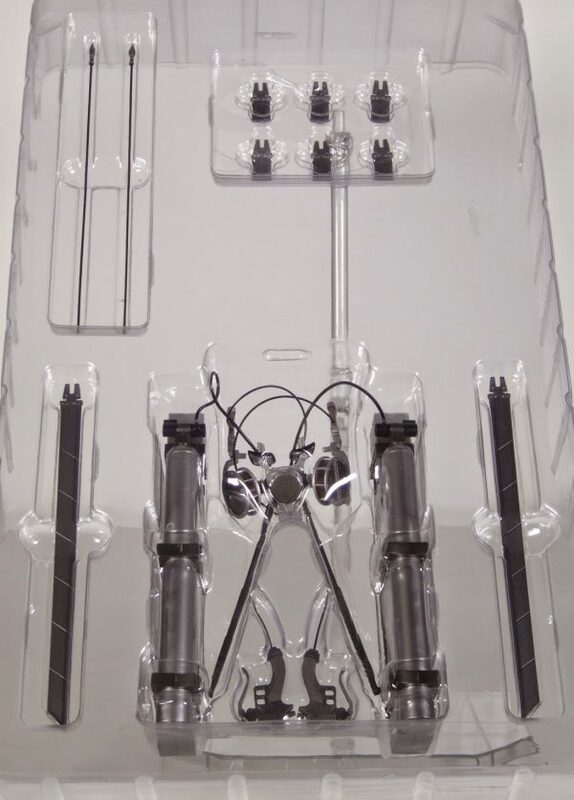 You won’t want to miss out on this one – order now! 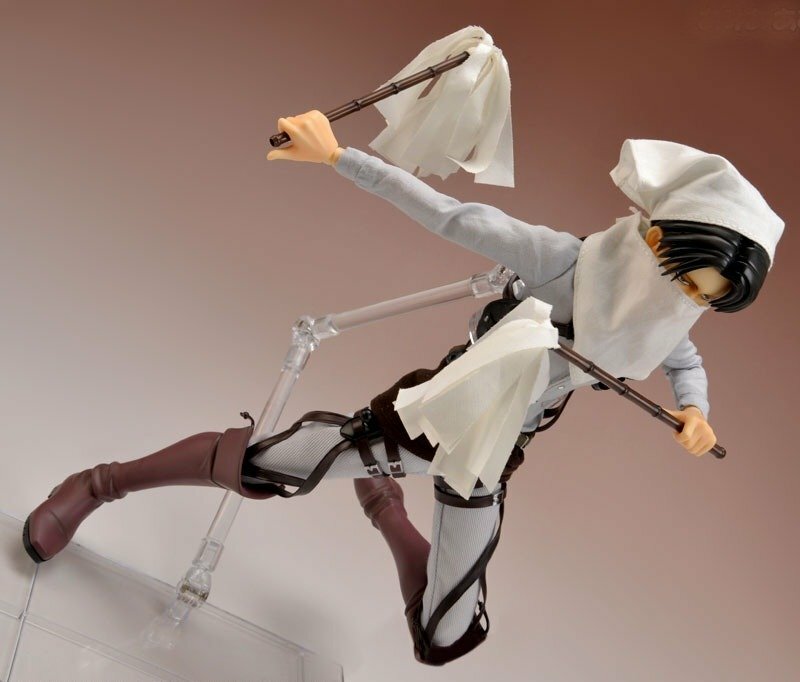 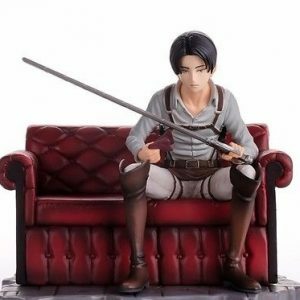 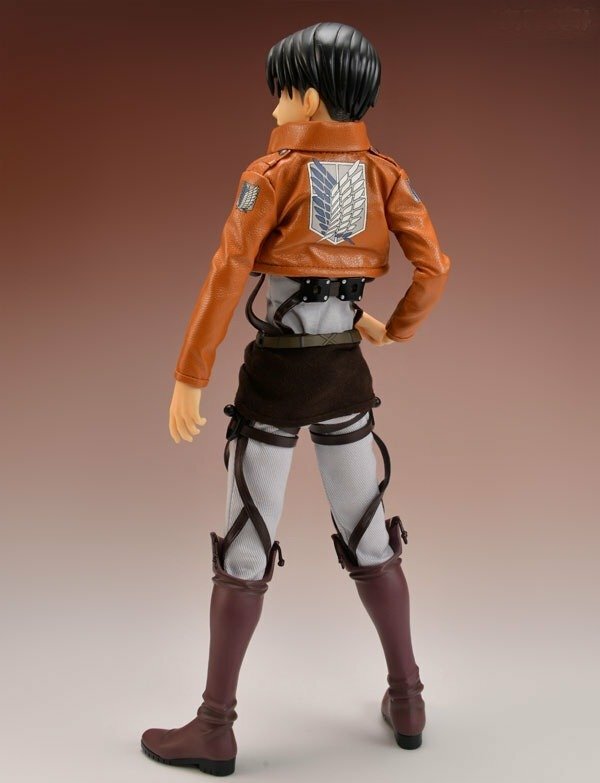 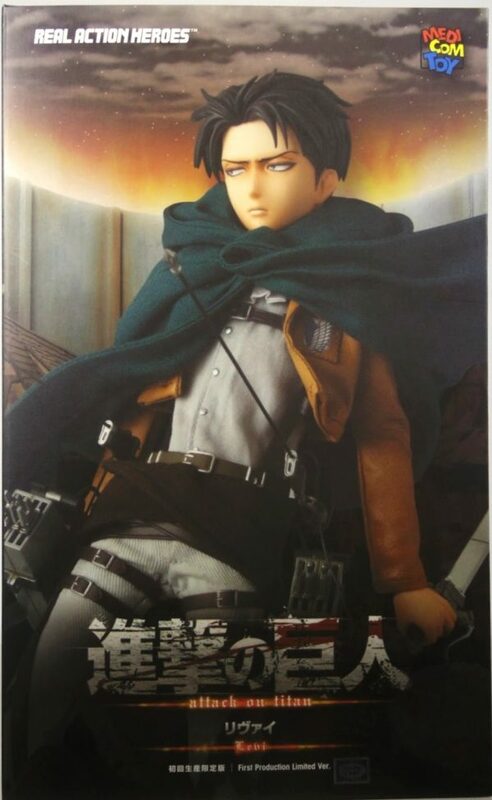 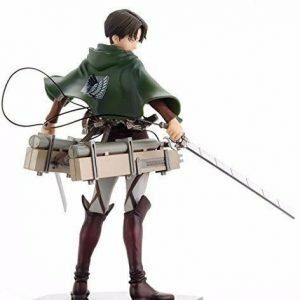 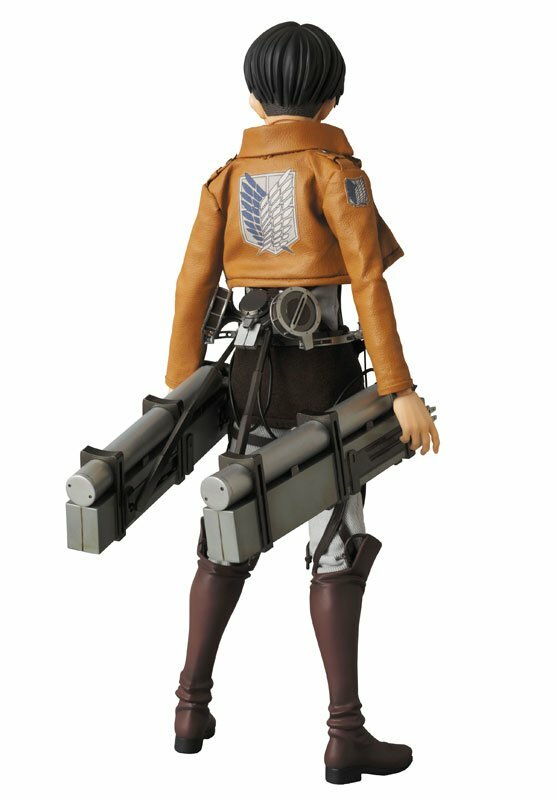 Attack on Titan Levi RAH Figure is official licensed Medicom Real Action Heroes figure. 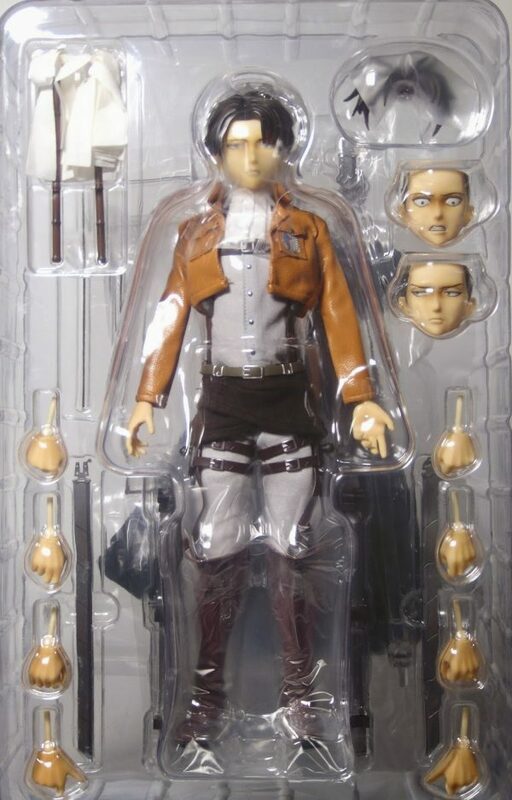 Imported directly from Japan and distributed by The Animetal London, UK.